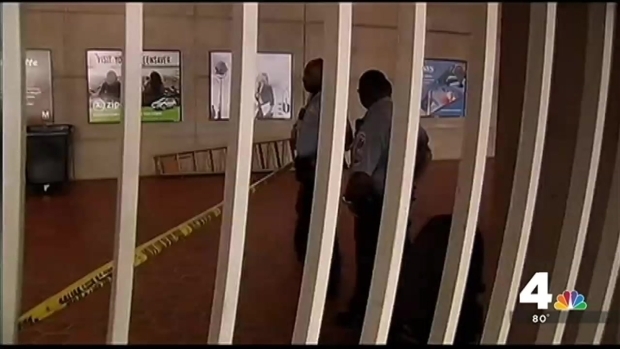 In one week in D.C., police say, a woman abandoned a baby in a stroller alongside a busy D.C. street -- and a young man who had been in college just a year ago stabbed a passenger on a Metro train 30 to 40 times. The two crimes were tied together by the drug police believe the suspects may have been using: synthetic marijuana. The potent hallucinogen is sold on the street and at liquor stores and gas stations, often branded as K2, Scooby Snax, Bizarro or Spice. These drugs can cause severely altered mental state, anxiety, paranoia, irregular heartbeat, seizures and death. Now, new legislation will create tougher penalties for businesses caught selling synthetic drugs in Washington. D.C. Mayor Muriel Bowser will sign emergency legislation to crack down on synthetic drugs Friday, after a spike in violent crime that police believe is tied to use of drugs such as "Scooby Snax," "K2" and Bizzaro." News4's Jackie Bensen reports. Mayor Muriel Bowser will sign into law the "Sale of Synthetic Drugs Emergency Amendment Act of 2015" Friday at noon. The legislation will allow D.C. government, police and the District's Department of Consumer and Regulatory Affairs to take stronger action against businesses caught selling synthetic drugs, which are illegal in D.C.
D.C. Police will welcome any new tools to deal with the surge of synthetics. "We have to get our heads together and figure out a way that we can make this an enforceable statute, before this drug ravages our communities," said D.C. Police Chief Cathy Lanier. "I truly feel like if we don't get a handle on the synthetic cannabinoids now, we are in danger of going back 20 years," Lanier said. "And we don't want that." Under the new legislation, police will have the authority to shut down for 96 hours any business caught selling synthetic drugs. Any business caught selling the drugs will be fined $10,000 for the first offense and can lose its business license if they're caught a second time. 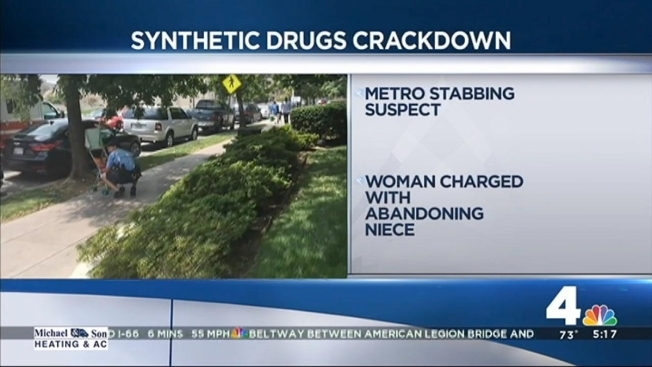 Earlier this month, Deputy Mayor for Public Safety Kevin Donahue attributed a recent spike in crime in D.C. in part to the use of synthetic drugs. "We know that when we arrest people for violent crimes, almost 40 percent have synthetic drugs in their system," he said. The suspect who police say stabbed a former Congressional intern aboard a Metro train July 4 may have been high on synthetic drugs, police sources told the Washington Post. The suspect punched his victim repeatedly, stabbed him 30 to 40 times and threw a cell phone at him. That same suspect, 18-year-old Jasper Spires, had been arrested days before the stabbing when he grabbed a man's neck in Friendship Heights and demanded money. Tuesday, woman was arrested when she left a baby in a stroller unattended on E Street northwest. Police found a hollowed-out cigar on her, and they believe she left the baby alone so she could smoke K2. LaTonya Cooper, 24, was charged with child cruelty.